On Tuesday 25. October, from 19:00 – 21:00 hrs. Oh Soon Mi will show the results of the 3 projects she worked on during her stay at KH Messen. The exhibition focuses on the aspects of human existence. Oh Soon Mi will show 3 different projects that tell us about her concern with the appearance and disappearance by the passage of time and shows that the human being will also disappear someday. Life and death are a fact of life. No one can avoid death. However, most people often forget this obvious truth in their daily lives. The time that reminds people of their mortality can be a passage of life to humanity. “15 minutes for freedom” is inspired by the book of “time seller”. I realized that the time for myself was not included in my life, but was lived for others’ perspectives. This work was planned to sell the 15 minutes of freedom to the users who are not living their own life. 15 minutes of time is 15 minutes of life, and it has the same value regardless of peoples’ race, religion, and even social classes. Once you buy this box, you get the right to use 15 minutes thoroughly to yourself. 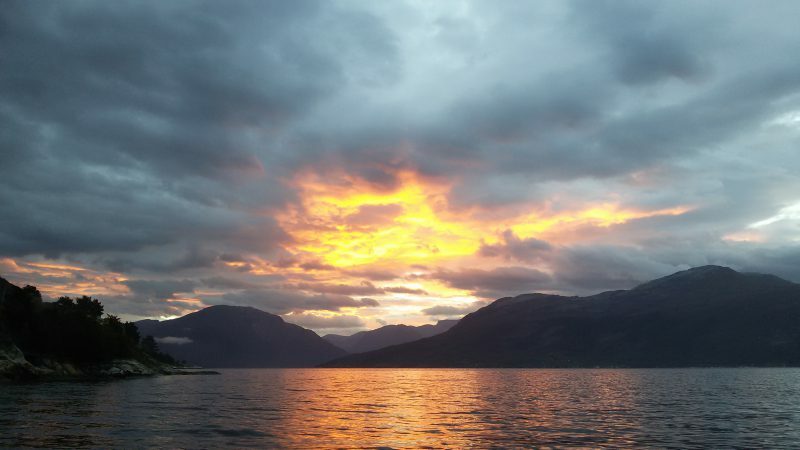 The work, Sealed Eternity_Life (Alvik) consists two videos: sunset and sunrise, taken in Alvik. The videos (sunset and sunrise), which signifies an allegorical symbol of birth and death are projected and reflected on both sides of walls by the mirror engraved a mask which symbolizes human’s persona. In addition, it induces reflective thinking on our lives, which are likely to be immortal in an endless repetition of darkness and light. “Unstable Equilibrium” is an interactive device on which visitors stand and try to find equilibrium. The work is made by audience members in real time during the exhibition. When they align the device horizontally with the floor, the light underneath it turns off for a brief moment. “The darkness is pure and whole. The darkness, the images are also endless space no boundaries, no vison.